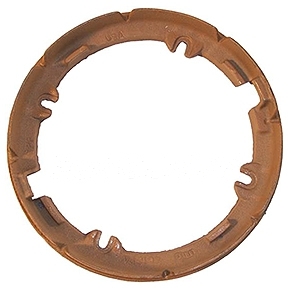 PRODUCT: Smith #1310C Replacement Cast Iron Flashing Clamp Ring / Gravel Stop, 10-1/2 inch OD x 8-3/4 ID, 4-Bolt Pattern, Bolt-to-bolt 8.5 inch. Fits all 1310 and 1320 Series Smith Drains. Price/Each.